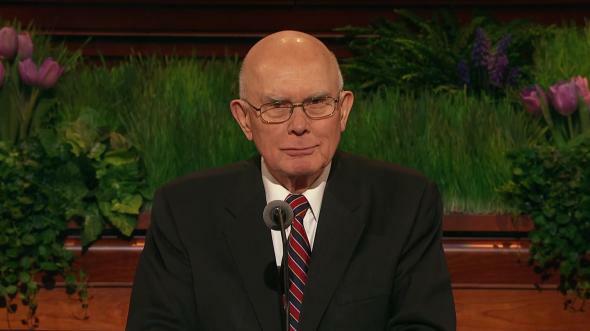 The gospel is true; it is the hope of the world; it will move onward to accomplish all that it must do. With the blessings of heaven and with a special, built-in nurse that I have, Ruby, to take care of me and a loving family, I’m doing quite well. I appreciate and am mindful of the pacemaker that I have for my heart, which comes in quite handy. And I have a remodeled hip and renovated knee that I consider just dandy. But, oh, how I miss my mind. 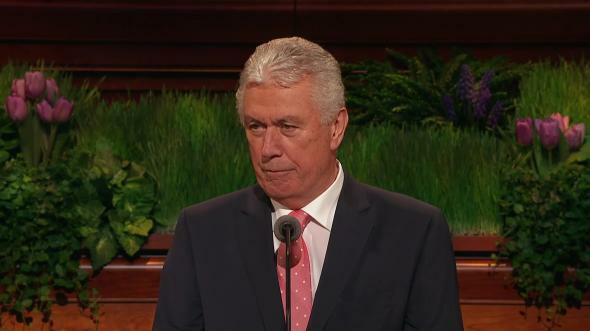 I’m honored to be able to stand here for a few minutes and bear my testimony to you and encourage you in this great work of which we are blessed to be a part. 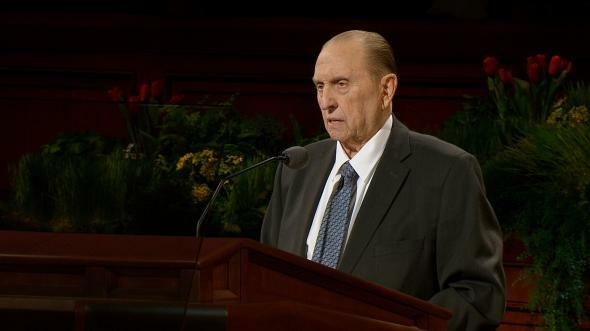 I watched the raising of your hands when President Monson was presenting the sustaining of the General Authorities of the Church, but particularly our prophet, and as I watched those hands and the enthusiasm with which you raised them, I thought, “Here we are with all the blessings we have and the comfort that we have,” and I thought of some other such events that took place in the history of the Church. 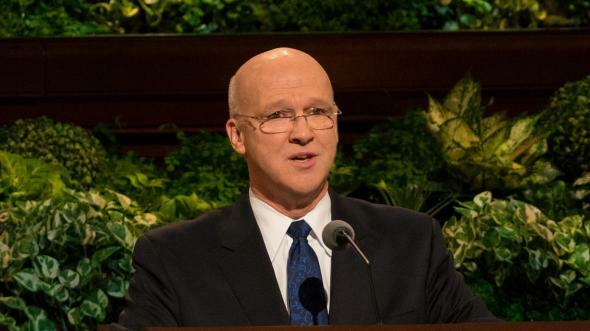 In my mind’s eye, I thought of the gatherings of our own family, which is scattered across America—in Georgia; Chapel Hill, North Carolina; Pennsylvania; Texas; California; and here in Salt Lake City. Of those little families in whatever the setting might be, there in their home or in the chapel, I thought I could see some of those little ones being taught to raise their hands and to be in harmony, perhaps their parents teaching them what we were doing. 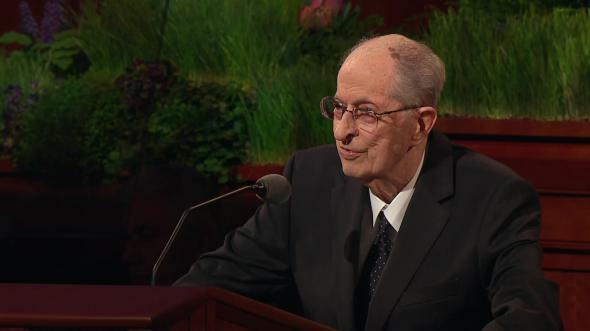 When we raised our hands, we not only just did it in motion because it looks like everybody’s doing it, but because we accept and we’re bearing witness about the knowledge we have and the testimony we have that President Hinckley is our prophet and our leader. We not only raise our hands in saying we sustain but that we follow his direction, that we listen, that we counsel, that we pray about it, that we’re mindful of what comes from the lips of the prophet. 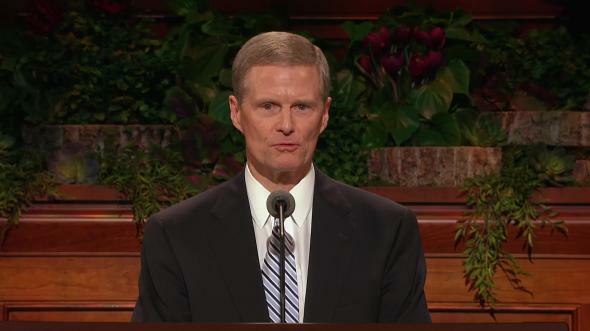 The Prophet Joseph Smith had received some instruction regarding the organization of the Church, which we have by way of revelation as set forth in section 20 of the Doctrine and Covenants. Imagine—on April the 6th, 1830, in Fayette, New York, in the Peter Whitmer farmhouse—a meeting in that little log cabin, maybe 20 by 30 feet, where the Church was organized. Just imagine in that little setting, where he blessed Oliver and Oliver blessed him, as they followed the direction that they had received and the Church organization was presented to that little assembly. Joseph and Oliver and Hyrum and Samuel Smith and the two Whitmers had been baptized and acted in order to be “agreeable to the laws” of New York (D&C 20:1). 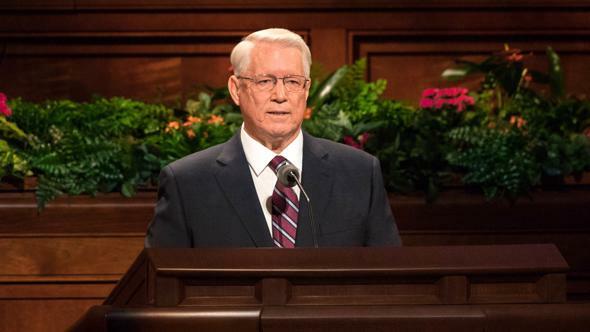 But just imagine as you run through your mind the spiritual setting in that assembly and the feeling that they must have had as the proposition was presented to them to sustain—what we have done here today—to sustain the Prophet and Oliver as the first elders, to set the Church in motion. Some of the diaries and the accounts of that occasion indicate they had the feeling of heavenly beings in that meeting. Some were rebaptized. 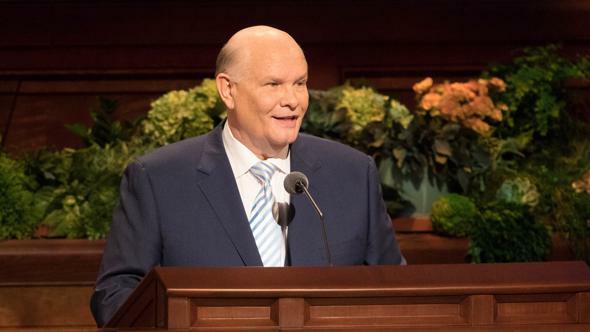 Some were baptized on that occasion for the first time, including the Prophet’s father and mother—just imagine! The sacrament was served for the first time in this dispensation in an official meeting of the Church, now organized. Imagine the feeling of the passing of the bread and the water, emblems of the torn flesh and the spilt blood of the Savior. 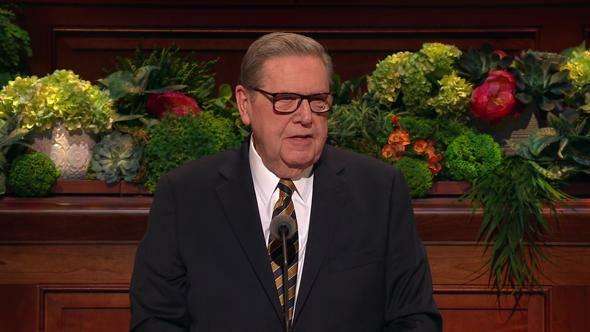 Imagine another setting of the sustaining in 1844, after the Prophet and Hyrum had been martyred, and of the meeting called in Nauvoo when Sidney Rigdon had now come from Pittsburgh, Pennsylvania, hopefully to take over as”guardian” and to be the leader of the Church. The members of the Twelve were hurrying from various parts of the world, returning to Nauvoo. 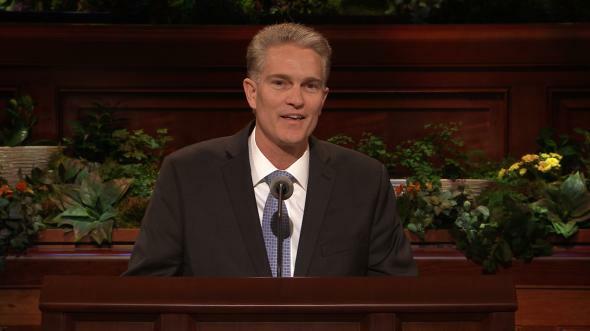 Think of that setting and the meeting when Sidney Rigdon presented the proposition that he would logically be the one to be called because he was the First Counselor, even though he was in some disfavor with the Prophet. 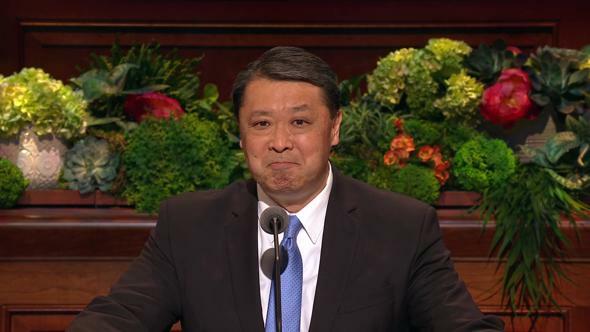 And imagine Brigham Young being there and speaking for the Twelve, explaining to that body of Saints how the faithful brethren had been taught by the Prophet regarding the Twelve and the authority that rested with the Twelve. 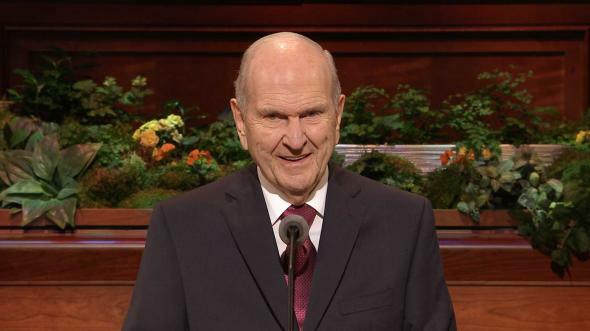 After they had presented both sides of the case and the voting took place, some of them stated that they saw and felt a change in Brigham Young as he spoke, that they thought they heard the voice of the Prophet, that they thought they could even see some facial features of the Prophet upon Brigham Young. I’m saying this to you because as the years go on and as we learn more and as we’re more sensitive to the spiritual direction that is in this work, we sense and feel the hand of the Lord in it. But think of the sustaining in that setting in 1844, to have the Church rest in the hands of the Twelve. Then there was another setting later on, in 1847, when the Saints were accumulating on the Iowa side of the Missouri River. Brigham Young had been here in the Salt Lake Valley with that first company of the Saints, but in December he had gone back to the Missouri to meet with the Saints there. And in a setting in Kanesville, there were nine of the Twelve assembled: two were in the valley here, one had gone to Texas, and nine were there. In that setting, in the Orson Hyde home, the First Presidency was reorganized on December the 5th, 1847, but they needed to have it ratified by the Saints. And so that meeting was postponed for three weeks so they could build a little log tabernacle in Kanesville. And in three weeks, with the workmen there and the members of the Church who had come in by wagons getting ready to cross the Missouri and head for the valley, they built a little tabernacle. 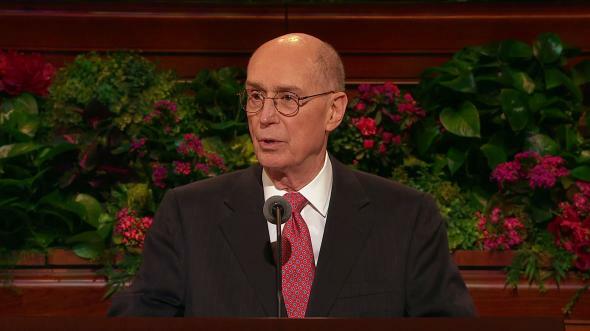 In that meeting was presented a proposition that the Presidency of the Church would be reorganized, but they needed a sustaining like we’ve done here today, like that opportunity that is ours to raise our hands and sustain the prophet. 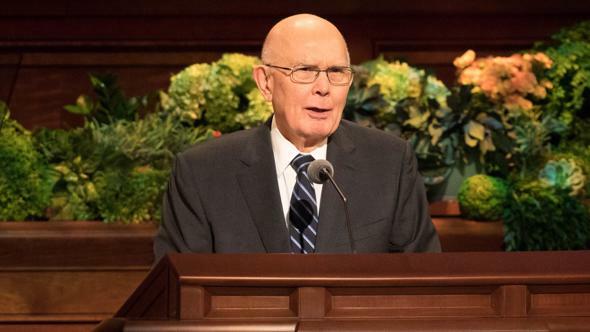 So the First Presidency was reorganized; Brigham Young had selected Heber C. Kimball and Willard Richards to be his counselors. Thus, it takes the sustaining of the people to give the leaders of the Church the authority that the Lord has designated by revelation that is necessary. And so, as we see the work move forward and move on, I would only declare to you as I stand before you today that in those 90 and more years that I’ve had, as I’ve witnessed and felt and seen and been part of the spiritual experiences that have been mine, this is the work of the Lord. It’s just as has been revealed. I’ve sensed it and I feel it, and I so declare to you. 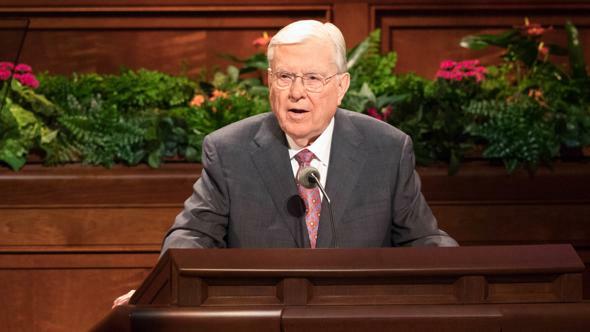 I remind you that the Savior taught, as recorded in Matthew, that whosoever “findeth his life shall lose it: and he that loseth his life for my sake shall find it” (Matt. 10:39). Now, some scholars and others have thought: “Well, that’s a paradox. It’s probably a mistranslation. It really doesn’t make very good sense.” It’s very clear in my mind, and I hope it is in yours, that as we live in the world of materialism, in Babylon that we live in today, and see the happenings of the world, whether you read the financial pages or the political pages or whatever, you can sense and feel that where we find our strength and where we find the answer to our challenges and our problems would be as we listen to the voice of the prophet—God’s prophet here upon the earth. 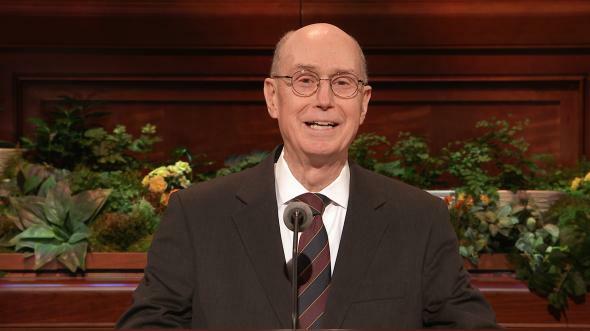 When we’re concerned about doing something for someone else and when we’re thinking about sharing the gospel or helping someone move on to a higher plane morally or physically, when we’re doing something for someone else and sharing with them, then we’re coming to their aid, we’re coming to their rescue. 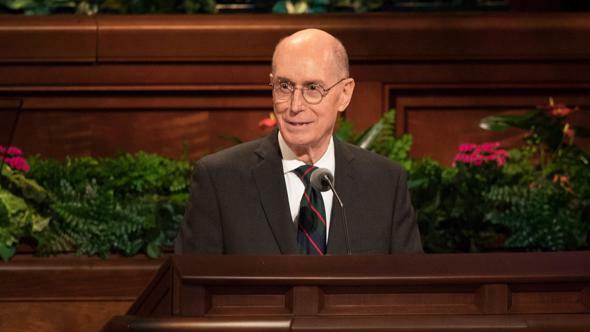 In all that, we find the life that the Savior talks about, the eternal blessings, the heavenly blessings, the temple blessings, all of those blessings of a loving family that we can have. It’s as simple, it’s as pure and as clean as that little, simple song. It teaches us what we need to know. 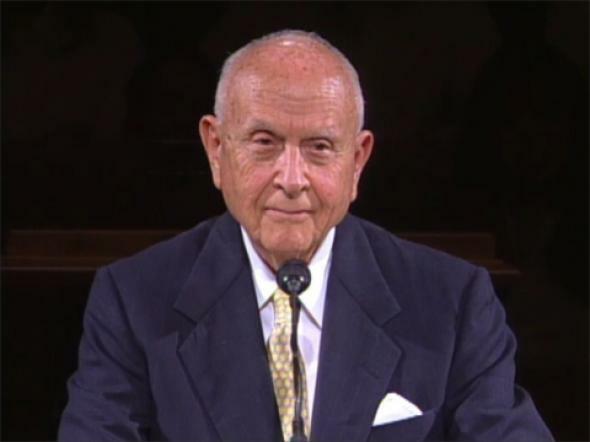 I’m happy on this day and honored to have raised my hand in sustaining President Gordon Bitner Hinckley as President of the Church, and his counselors, Thomas S. Monson and James E. Faust, as the Presidency—with the Quorum of the Twelve and all of the other General Authorities. 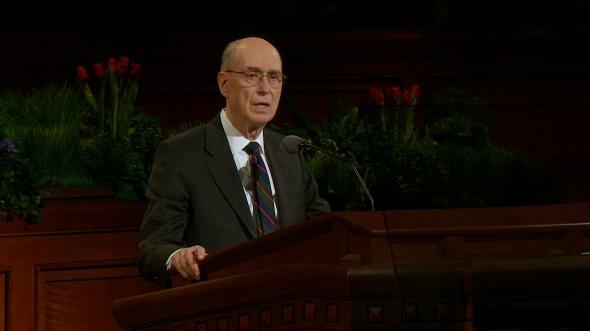 The gospel is true; it is the hope of the world; it will move onward to accomplish all that it must do. I so leave you my love and witness, in the name of Jesus Christ, amen.